Love the candles and use them on mantel and for formal table setting. Seven perfect candles and one freaky one. 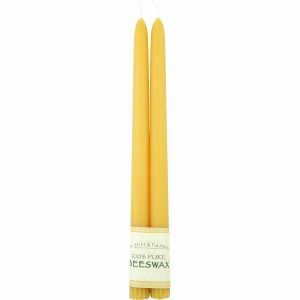 This is the second year I’ve ordered Bee Hive candles–they’re very good candles. They have a lovely faint honey scent. But I did have one candle that completely flaked–I had eight 10″ tapers going, no draft, seven of them burning perfectly and cleanly–almost no drips, and one that burned really fast with a completely deformed cascade of wax rivulets (hard to describe) and drips–gone in an hour! I should have taken a picture. I wonder what caused this? – Tapers need to be straight in their holder, if not, the wick can lean a bit to the side and melt the taper and destroy the wick pool. – Occasionally a drip will form on the side due to air movement or drafts. If left unchecked it will start leaking over the side. – As always, never leave a candle unattended. The occasional drip or lean can be corrected if attended while burning. Great candles! We use these in our Advent wreath and on the dinner table Fall and Winter. Family members with asthma can be in the room with a beeswax candle burning…not so with paraffin candles. They are lovely. This is my first time ordering from this company and it won’t be the last. The candles are beautiful and smell wonderful, even unlit. But I can hardly wait to light them up this winter and holiday season. Thank you! Beautiful candles. They burn clean without smoke and outlast other candles. They were shipped very quickly. I love this product. Sweetly scented, great gifts, keeping the home Hyggelig! I began searching for true beeswax candles a year or so ago after reading Meik Wiking’s book “The Little Book of Hygge” and found your products to be the very best of several different online vendors. I love the gentle light the candles bring to my home, the beautiful natural scent given off, and the calming effect the have on the whole family. This year all my adult children received a pair of tapers, the book, a pair of woolly socks and a Christmas cake, in order to bring more Hygge into their homes. I recommend it to everyone I meet! I’ve ordered these several times and they are consistently good. The price is very competitive for a beeswax candle. These tapers are absolutely wonderful. They burn beautifully, with no soot and no drips. The smell of the wax is heavenly. What more could you ask? 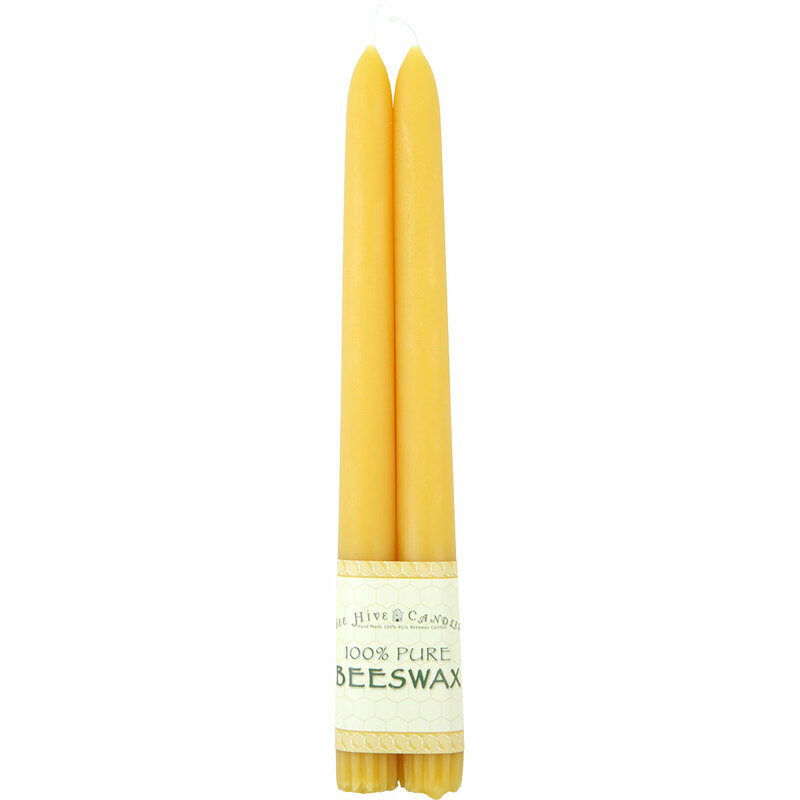 Perfect bee’s wax candles. The package arrived quickly and was wrapped beautifully. These are the best tapered candles I have ever bought. They’re beautiful to look at, especially while lit. The natural beeswax gives them a wonderful scent, as well. I love them and give them as gifts. Beautiful candle, burns clean, great natural scent and a reasonable price. Will purchase again. Lovely tapers for our dinning room table. They give off a nice light and the scent doesn’t overpower our food!